Feeling that 3D craze yet? No? Well what if we told you that Samsung was bringing stereoscopic 3D to its magnificent AMOLED panels touting a million-to-1 contrast? Today in Japan it's showing off its 30-inch AMOLED 3D television with Full HD panel measuring just 2.5-mm thick. 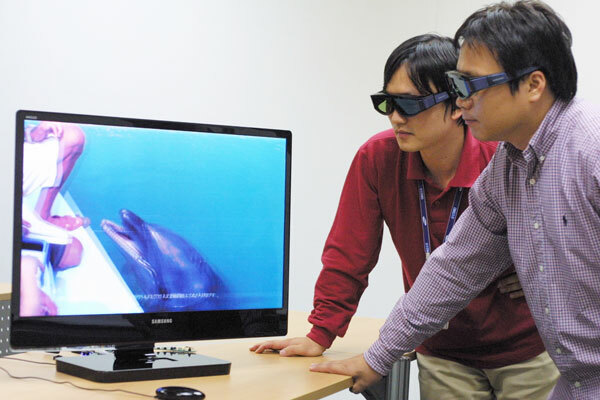 Although much is lost in the Korean language press release, Sammy is claiming that itd panel plus shutter-glasses technology helps to reduce the dizziness felt by some 3D viewers. The set's just a prototype at the moment but its price will certainly invoke financial vertigo whenever it might hit the manufacturing lines. One more very serious picture after the break.